The shopping and recreation center «Fantastika» was considered to be a project of the newest type that had hitherto been obscure for Nizhniy Novgorod. It was created according to the international standards of shopping and entertainment. Its mission is to change Nizhniy Novgorod customers’ sentiments towards the processes of shopping and recreation. The architectural concept of the centre unites comfort and modern esthetics. The building was based on the 1st of December in 2005. The group of companies «Stolitza Nizhniy» had assumed obligations to construct the largest Shopping and Recreation Centre in three years. Its opening was implemented in two stages. On the 13th of December in 2006 the first accomplished area was presented (16 000 sq.m.). It is now turned to the household centre «Obi». In October, 27th, 2007 the project was totally realized — the rest part of the centre was introduced to customers. It is more than 45 000 sq. m. in area. 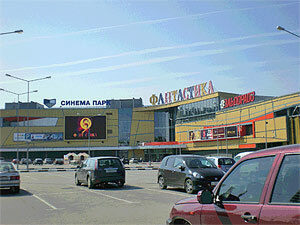 One of the main tenants, hypermarket «Real», occupies 11 000 sq.m. The total investment volume amounts to $ 150 000 000. The construction of the new trading centre proves that the Nizhniy Novgorod company is capable to implement the projects of the international level. With opening of the shopping and recreation center «Fantastika», the group of companies «Stolitza Nizhniy» has sustained the image of a successful company.